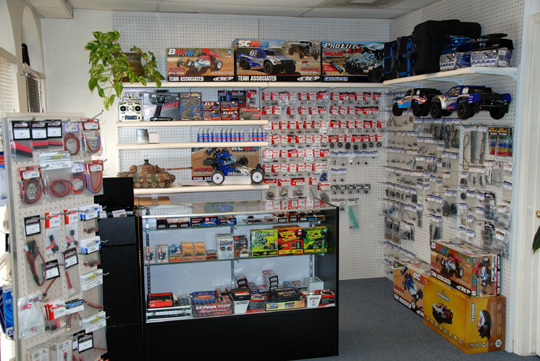 Based in San Marcos, Texas we offer our customers the best selection in military models, hobby supplies & tools, RC trucks & buggies, RC Tanks and parts. 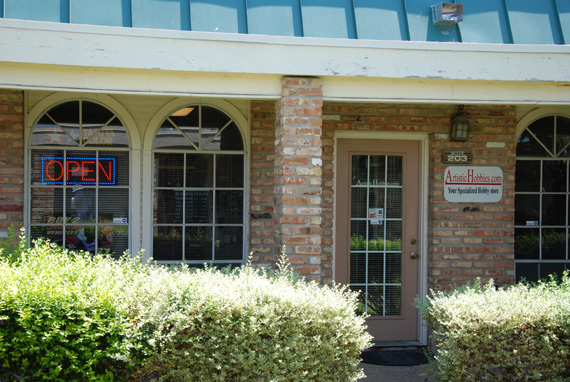 New Store: The newest addition to ArtisticHobbies.com is our newly finished store in San Marcos, Texas. 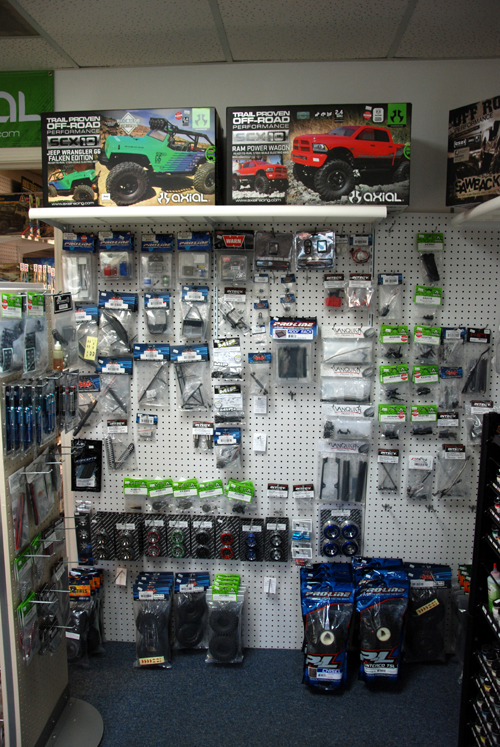 With shelves packed with scale armor models, accessories, Tamiya RC tanks, Traxxas and Team Associated RC trucks and buggies as well as Aber photo etched parts, Evergreen styrene plastics, model making tools, paints and parts. Our store is sure to have something for every that loves armor models and RC trucks, plus much much more! We also offer our customers custom RC tank paint work along with repair service on all Traxxas and Team Associated RC trucks and buggies (electric RC vehicles only). Our Mission: We are a specialized hobby retailer for one reason only; we only sell what we know! Most large hobby retailers sell just about everything but they are only knowledgeable only in a hand full of the items they sell especially online retailer. We on the other hand only sell products that we have the technical knowledge to back it up with. So regardless if you’re shopping online or at our store in San Marcos, Texas, rest assure we will have the technical knowledge to answer all your questions to help you make the best buying decision. Quality: One of the main objectives in creating this company was to offer our customers the very best in quality. We are not the typical hobby store that offers everything and anything. All the products that we sell have been used and or highly recommended by hobbyist and RC-ers like yourselves. If you are looking for something that we don’t currently carry. Don’t hesitate in calling or dropping us an email asking if the item will be available in the future. In most cases we can special order an item for you. We have access to the entire line of products from Dragon USA, VsTank, Tamiya, Aber, Evergreen, Woodland Scenics, Testors, Model Master, Traxxas, Team Associated and Excel to name a few and best of all there is no extra charge for specail orders. Security: Keeping our customers safe while shopping for what your passionate about is our top priority. As an additional security blanket, all credit card transactions on our website and at our showroom are protected with a high grade Secure Socket Layer encryption. Feedback: We strive to continually improve our website and your shopping experience from receiving your feedback. If you have any questions or comments, feel free to email us at any time. Great Payment Options: While other companies might charge you extra for using your credit card, bankcard or even a PayPal account, we do not. You wont find any hidden or extra charges added to your bill when shopping online or in our showroom. Credit Cards: We accept Discover, Visa, MasterCard, American Express or Bankcard. There are no surcharges added for credit card or bankcard orders. We reserve the right to verify credit and bank card orders for your protection. For fastest processing, please always include a daytime phone number if shopping online. PayPal: You may also pay for your online orders with PayPal using your PayPal account. Ordering with your PayPal account is available online only. There are no surcharges for using your PayPal account. It's easy and much faster than using your credit card or bankcard and it only takes a few seconds to complete your order. 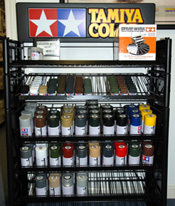 Bottom Line: If you'r looking for a company that has above average customer service, than we are the Hobby Store for you.